Includes: Books by Billinghurts, Pitcairn, Schultze. Nutrition is thought by many to be the key to optimum health, and the BARF (Bones And Raw Food) diet advanced by Dr. Ian Billinghurst of Australia has gathered a huge following in the United States. Give Your Dog a Bone provides guidance on feeding for maximum health, low cost and low environmental impact, and is our best seller. It includes detailed instructions on creating a balanced raw foods diet. Grow Your Pups with Bones explains feeding for breeding – producing healthy puppies with a minimum of fuss, and growing puppies into healthy adults without any of the skeletal diseases which are so common in modern dogs. THE BARF DIET by Ian Billinghurst Suggested recipes and practical information to assist in the home production of BARF diets - now everyone can do the BARF diet for their pets! Offers practical solutions that pet owners and veterinarians can adopt for themselves. 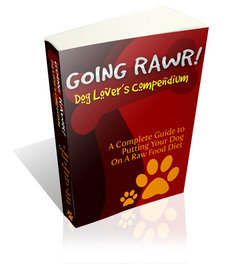 Presents a canine & feline diet based on feeding raw, meaty bones. How to choose a healthy animal, dozens of recipes for delicious, economical, healthful pet food--with completely updated tables, charts and nutritional guidelines, how to give your pet a checkup and what's really in pet foods. Approach is drug-free and holistic with special attention to homeopathic and alternative remedies and treatments. Author: Richard Pitcairn, DVM and Susan Pitcairn. This book discusses the raw food system for feeding dogs, how dogs will benefit from the system, tips and tricks pet owners can use, and so much more. Maggie wrote this book with dog owners in mind; only wishing the very best for them and their pets. Introductory Offer Buy at $27.00 - Includes 3 additional Bonus Books! or in conjunction with conventional treatments, these six books will give excellent guidance. Explore the many ways you can provide your dog with natural healthcare, from how to prepare a homemade diet and how to massage your dog, to the use of acupuncture and acupressure for treating physical ailments. You'll learn new ways to enhance your communication with your dog, like how to read his body language and how he reads yours, and how you can communicate telepathically. You'll also investigate the new application of ancient beliefs, from the healing power of crystals and stones to the occult sciences of astrology and numerology. Introduces you to the mystical side of your dog, while offering lots of practical alternatives for healing. The definitive book on holistic pet health and care from a conventionally trained vet who has turned to holistic methods! Learn why your pet gets sick, how you can prevent illness; how to identify and understand your pet’s diseases; specific recommendations of herbs, supplements, and natural remedies; how to help your pet heal the natural way; how to select the proper diet; and best of all, an intelligent approach to vaccines – why not to vaccinate, and how to if you must. All content and images on the NJBoxers.com Web Site are the copyright of NJBoxers.com unless otherwise specified. Use of any content or images from the NJBoxers.com Web Site is not granted except by written permission.